Diamond embroidered baseball cap. One size fits all with an adjustable Snapback strap. 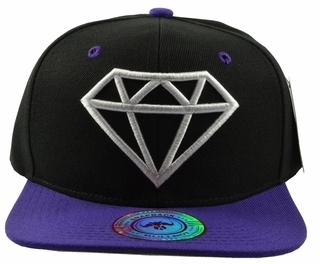 This black hat with a purple brim and white embroidered diamond will make a great gift. 100% Polyester.